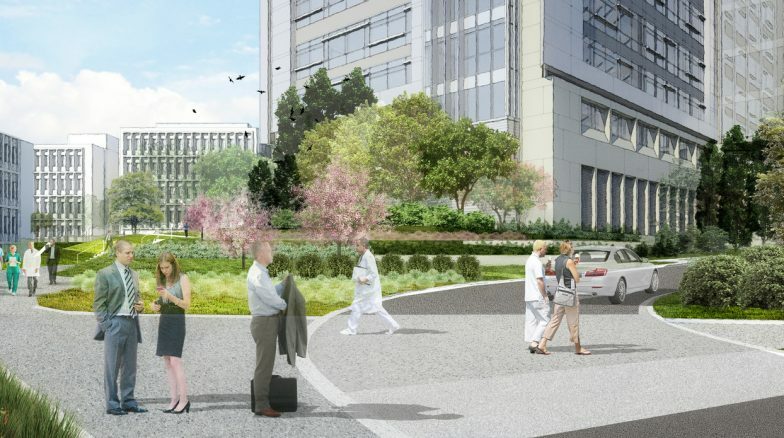 The Bed Tower Addition on Duke University Medical Center’s Campus will feature ten stories of patient rooms for pediatric, ICU, and post-operation recovery. 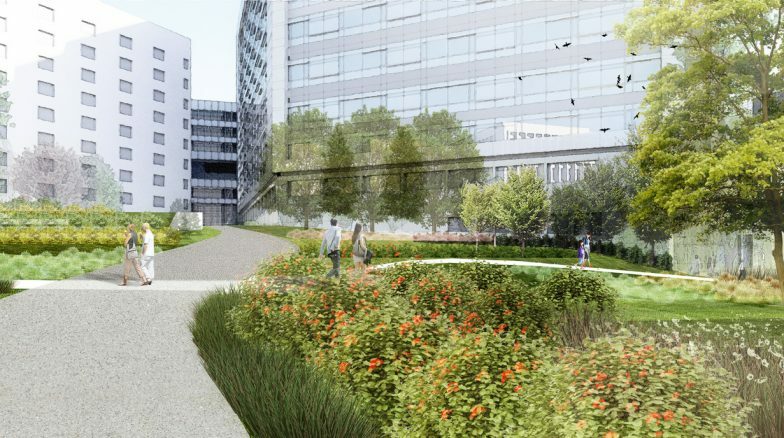 The bed tower is connected by an open space courtyard to the existing bed tower as well as additional medical center buildings. Surface 678 focused the courtyard design with three nodes: passive, active, and community. 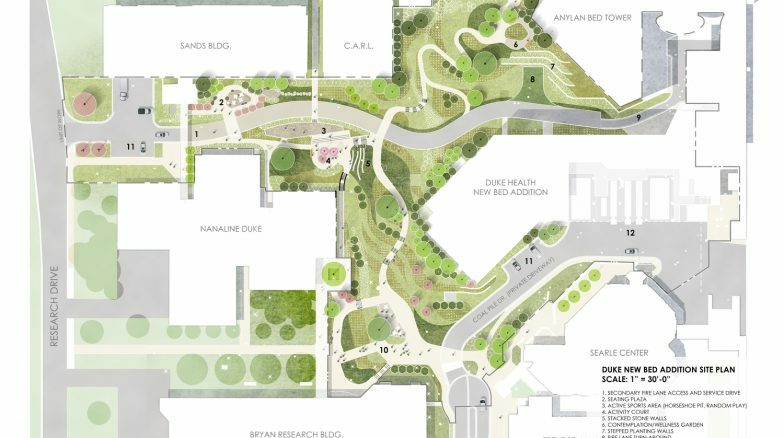 With heavy pedestrian use of this courtyard, these nodes were designed to enhance user experience by providing areas for pedestrians to utilize for community events, such as the farmers market, or outdoor games. Surface 678 also designed fire access for the bed tower addition as well as the adjacent buildings. The large landscape also features a diverse planting palette that focuses on appearance not only from eye level but also from all levels of the bed tower addition.